Always wanted the mercedes box truck, but it looks quite dated now, this looks awesome and modern, no doubt actuator be pricy. This will suit me as don't have room for a trailer set up. Looks good but tipper mechanism should have been included with the kit as it was in the Mammoth Dump Truck. This is going to mark my return to the hobby - well done . The acutator looks well made, in pic looks like alloy but could be plastic cover, says raise 10 kg to! 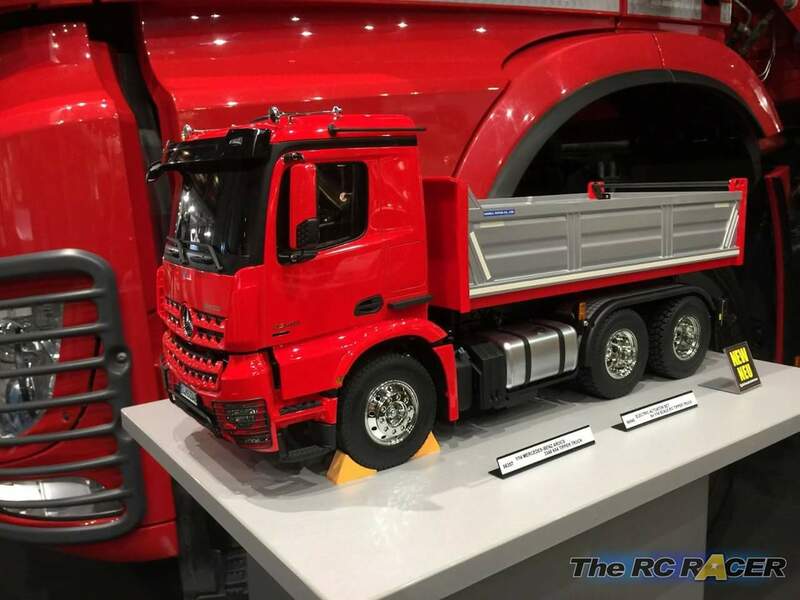 this might be the time finally get s scale truck, along with mfc unit, wonder if euro spec one will be revised for this? Thanks again, looks really good, modern and all the guards on lights to, the tipper is probably alloy. Expect all in with actuator and MFC, were talking a good £700-800 really. Latest prices Retail £629 and tipper mech at £380!! I Am sure shops will be discounting these prices. But a rather heft tag to start with. 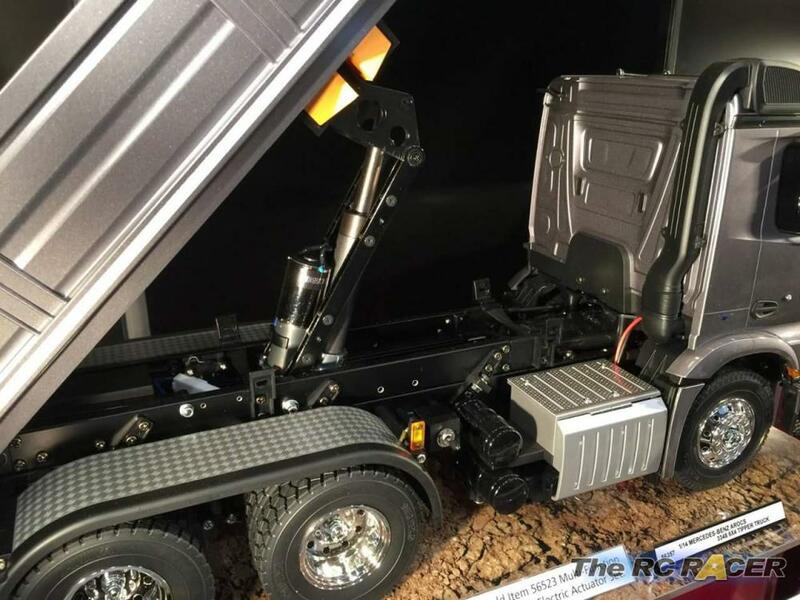 @lee1980 MFC units won't need to be revised as the actuator units will use the support leg designation which won't be needed on this truck as it is just a 6x4 rigid. ant88, thanks to wow, more than half the price of kit can that be right? it does look very good and all metal but still! at those prices over a £1000 with MFC and then radio gear to! I believe astec said it will be £485 for the kit and £265 for the tipper mech. Add another £250 for the mfu and its a bit pricey... they should have included the tipper mech and truck for around £650. I would think Tamiya being Tamiya, the bin would be a well designed, durable plastic as opposed to alloy. In saying that, Alu would be the only reason for it costing more than a regular 6x4 tractor unit. £1100 for all minus radio from modelsport eeeek, yea hard to tell if tipper is alloy or not, in silver it just looks amazing!! I've looked at the video clips a couple of times and the tipper bed looks like a one piece plastic molding - no visible hardware indicating component parts fixed together. Possibly - just possibly - it could be a 1 piece aluminium casting which would be great but at this stage would assume plastic. Pity considering the price of the kit - hope I'm wrong ! There was pics on FB shows it white styrene like and they said it was plastic to! Length: 576mm, Width: 190mm, Height: 267mm. ● Assembly type 3-speed transmission allows gear changes via separately available 4-channel transmitter. ● Ladder frame chassis features aluminum side channels with resin cross members. ● Realistic 1-piece resin bed is reinforced with a metal frame. ● Power from the front-mounted motor is delivered to rear axles via propeller shaft. Built-in differential gear on each axle enables smooth cornering. 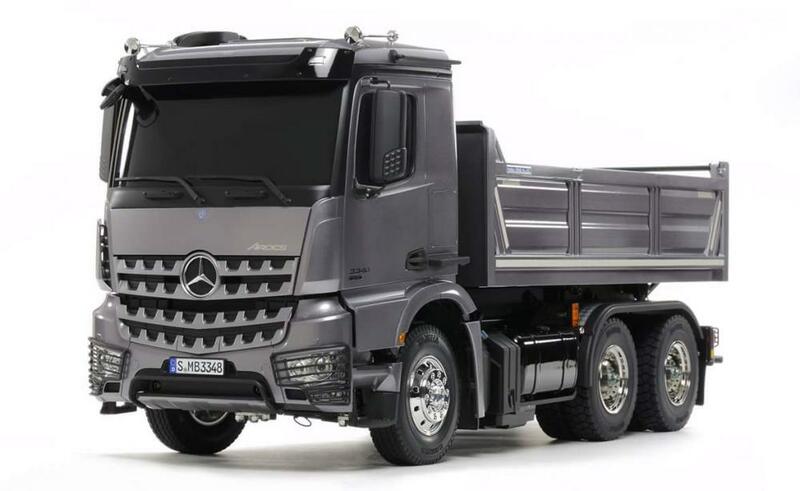 ● Highly-realistic suspension utilizes metal leaf springs and friction dampers. The model enjoys easy driving thanks to the float-mounted die-cast front and reinforced resin rear axles. ● The highly detailed body breathtakingly captures the slimline form of the truck cab, including the distinctive bucket tooth design grille. Depictions of headlight guards, front bumper and skid plate underneath are parts of a truly realistic finish. I've highlighted and underlined the official word, it's definitely not aluminum or metal . Still going to buy one. So much like the Agrios frame, a metal skeleton placed in a mold and injected with plastic. Most tractor kits are in the late $200's street price, Stella has one of the other Mercs at $315. I wouldn't expect this to be more than $350 tops. 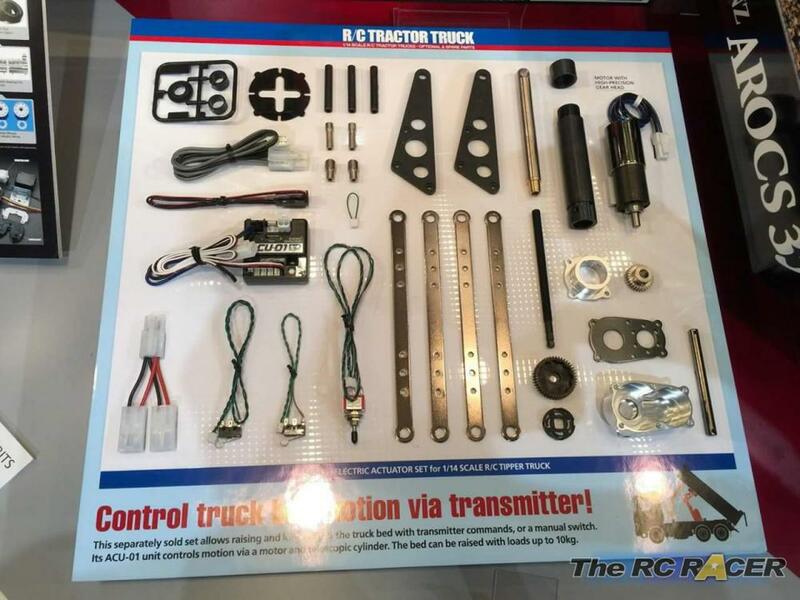 I was thinking hard about using this as my into to 1/14 trucks , thinking it could be done cheaper. But if it's all as expensive as it looks to be, maybe I'll think about a truck and trailer instead. Would like to see Tamiya make an 8x4 rigid tipper, I've waited a very long time for one. Would be great if they also made it 8x8 for use around model building site layouts where there are gradients and loose surfaces where a lot of traction is needed. Jap only full option set out soon be about £850, before customs etc. I saw on hobby search 1999.jp. Tempting so as get all the good stuff!